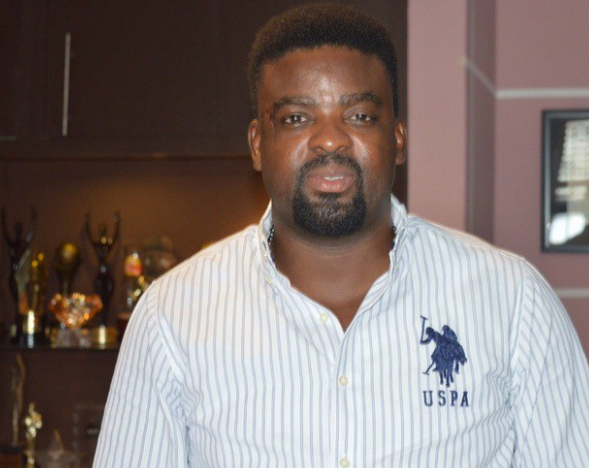 Nollywood actor Kunle Afolayan’s new comedy film, ‘Omugwo’, is riding high at the cinemas. Starring Ayo Adesanya, Patience Ozokwor, Omowunmi Dada, Ken Erics, and Christian Paul among others, the hilarious movie is reportedly drawing large audiences across the country. Written by Kemi Adesoye, ‘Omugwo’ tells the story of Omotunde, a young civil engineer, who is married to Raymond, an On-Air-Personality. The couple just had a baby and their mothers-in-law forcefully move in to perform the Igbo childcare rite called Omugwo. But instead of relieving their children of the burden of childcare, the rivalry between the women complicates life for the young couple. In ‘Omugwo’, Afolayan marries a serious subject matter of motherhood with lots of hilarious moments. The movie portrays two characteristics of motherhood and gives kudos to the African tradition, while attempting to proffer solutions to some of the challenges faced by young couples especially after giving birth to their first child. According to Afolayan, ‘Omugwo’ was commissioned by Africa Magic and produced in partnership with his company, Golden Effects Productions. “We were commissioned to do three films and this is one of them. After this, we are going to unveil ‘Roti’ and ‘Tribunal’. I am particularly excited about ‘Omugwo’ because it’s meant to be a small-budget television drama, but by the time you see it, you may want to ask what differentiates a low budget film from a big budget film, because this is just like any of Kunle Afolayan’s productions,” he said. Well done Kunle Afolayan, aye tesin o je, niru idi e nje. God will continue to lift you up, but always remember where you are coming from & be humble & invest wisely. A very rare talent. Weldone brother. Who wouldn’t be happy when his sweat turns to sweet? Ride on brother and more laurels we wish you! Dorothy california on N48Million Found In Suspended Chief Justice Of Nigeria Walter Onnoghen’s Bank Accounts Seized! !